A graduate of Waverly Central High School, Wayne Pegram earned his Bachelors Degree in Music Education from Tennessee Tech in three years. He earned a Masters Degree in Music Education from the University of Tennessee while serving as a Graduate Assistant with the University of Tennessee Bands, and his Doctor of Arts Degree in Music Composition and Conducting from the University of Northern Colorado. As Music Director at Loudon, Franklin, Knoxville South, and Murfreesboro Central High Schools, his groups earned Superior Ratings in all areas. The Murfreesboro Central program was winner of the 1967 Orange Bowl Parade Best Marching Band award, and was selected as the Phi Beta Mu Band of the Year. This award resulted in Pegram being asked to compete in writing a professional book for Parker Publishing Company. The eventual result of this competition was the book Guidelines for Developing the High School Band. In 1968, he began his fifteen year tenure as Director of Bands at Tennessee Tech University in Cookeville. During his tenure ensembles from Tech were invited to and performed multiple times at state, regional, and national MENC conventions as well as the National Band Association’s National Convention. In addition, the Tech Symphony Band recorded twelve Composer Festival Albums as well as fourteen Promotional Educational Recordings for Hal Leonard, C. L. Barnhouse, and Jenson Publishing Companies. While Director of Bands at Tech, Pegram also began national and international publication of various arrangements and original works, primarily for Marching Bands, including his own series with Hal Leonard entitled Corps Impact. In 1985 Dr. Pegram became Coordinator of Music Education at Tech until his retirement as Professor Emeritus in 2003. He has also served as Music Director of the Tennessee Tech Community Symphony Orchestra, began the Cookeville Community Concert Band, and organized the Tennessee Ambassadors of Music, an international touring group specializing in band and choir performance tours of Western Europe. He also expanded his arranging and composition to works for concert band, tuba ensemble, and jazz ensemble published by C. L. Barnhouse, Warner Brothers, Theodore Presser, Ludwig, and Neil Kjos. During his career Dr. Pegram has appeared as a clinician, adjudicator, conductor, or consultant in forty states, Canada, England, Switzerland and European Union Countries. He has more than sixty publications to date. Throughout his career he has maintained an extremely active performance schedule on a variety of instruments as well as genres. In addition to his musical pursuits he is an avid gardener, golfer, and fisherman. He and his wife Elaine enjoy traveling both domestically and internationally. They have three sons, Eric. Jon, and Joey, and three grandchildren (to date), Cypress, Monica, and Dusty. 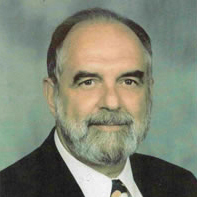 Born in Livingston, TN, Rodney W. Webb (Feb. 25, 1942 – Dec. 17, 1993) had 25 years teaching experience. He was director at Cumberland, Bellevue, and Glencliff High Schools in Nashville before assuming his duties at John Overton High School, where he served from 1976 until his retirement in 1991. He also served as Associate Director of Bands at Vanderbilt University in 1981 while on leave from the Metropolitan Nashville School System. While director at Overton, the band was named Grand Champion at the “Contest of Champions” two years, Reserve Grand Champion six years, State Marching Band Champion four years, and state runner-up five years. They performed in the Fiesta Bowl Parade, the Tournament of Roses Parade, the Macy’s Thanksgiving Day Parade, and other locations including Nassau, Bahamas, Washington D.C., Disney World, Epcot Center, and Disneyland. Under Webb’s direction, the John Overton Band was the first Tennessee Band to receive the John Philip Sousa Foundation Sudler Shield Marching Band Award. Having served as past president of MTSBOA and TBA, Webb also held membership in the TEA, NEA, MNEA, TMEA, MENC, and the NBA. He was also a member of the Phi Mu Alpha National Music Fraternity and past president of Phi Beta Mu National Bandmasters Fraternity. 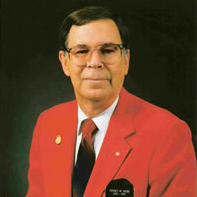 He received the National Band Association’s “Certificate of Merit for Marching Excellence”, the “Citation of Excellence” award for outstanding contribution to bands and band music, and served on the advisory Board of the John Philip Sousa Foundation, the Executive Boards of TMEA and MTSBOA, and extensively as an adjudicator and clinician for marching and concert bands. It is impossible to list all the things that Rodney Webb did or the contributions he made during his lifetime. The impact he had on the lives of everyone he was associated with was tremendous. He always stressed the positive and strove for perfection. He had an ability to think through a situation, play the devil’s advocate, then give a decision or suggestion that would better the organization, event, or person. Rodney Webb was a “Class Act” and he always taught the same. He knew the secret of being a true champion. Rodney Webb is greatly missed, but his spirit lives on through the lives of the families and colleagues he has touched. The cherished memories he helped us all build will be around forever. His legacy is best served by showing young people the joy of life through teaching them to love music.